From time to time, NDEO features guest blog posts, written by our members about their experiences in the field of dance education. We continue this series with an entry from Laura Halm, Dance Division Head at Baltimore School for the Arts. Guest posts reflect the experiences, opinions, and viewpoints of the author and are printed here with their permission. NDEO does not endorse any business, product, or service mentioned in guest blog posts. If you are interested in learning more about the guest blogger program or submitting an article for consideration, please email Shannon Dooling-Cain at sdooling@ndeo.org. I left Baltimore in 1998, never really intending to return, at least, not for dance. My one dimensional teenage brain was determined to become a professional dancer in a big world-renowned company, because I was absolutely certain that was not only the ultimate pinnacle of success, but the only measure thereof in the dance world. Baltimore had given me a great foundation, but offered nowhere to stay, no professional company of the caliber I envisioned in which to grow and become something greater. I first found myself in New York City, at Juilliard, where I believed all of my ambitions would be realized. I was following in the footsteps of the greats, doing everything that was traditionally prescribed to make a name for myself. I woke up early, warmed myself up for at least an hour every single day, approached my classes with diligence, listened to everything that was said, and did everything I was told. I took corrections and questioned nothing. This was a problem, because then they started asking me questions, and I had absolutely nothing to say. Despite my interest in choreography, my ideas were derivative, always based upon a formula created by someone else. I was stunted; there was something missing in me and I had no idea where to find it. But in some ways, I arrogantly didn’t care. I somehow managed to make it through those four rigorous years with the stifled understanding I had, but there was always this wall that I simply couldn’t break through. I kept pushing myself to develop greater technique, creating works that appealed to most, but never pushing any boundaries. The other students were exploring, whereas I stubbornly stuck with a template. I had the impression that I played well with others because I was willing to be a puppet, all in an effort to be a “good employee.” But instead, my inability to open my mind put me at odds with others. It disallowed me from developing friendships and building artistic collaborations. The others may have respected my dancing and my efforts, but they sure didn’t want to work with me. I knew I was right, or rather, I held on so tightly to those limited ideals, that I alienated those around me, and ultimately excluded myself from any true artistic inquiry or evolution. After graduation, I took up a couple of random jobs as I auditioned for companies. I always seemed to do well enough: I’d get pretty far, usually to the end, but there was always something that kept me from being chosen. I assumed it had something to do with my physical being, too short, too tall, not able to fit into the costume that had already been made. But looking back, I doubt that was the case. During that transitory period of my life, I noticed others putting together their own projects, eschewing the bigger names in dance to create their own works. But not me, I was going to be in a company. I was going to work in that book store to pay for my daily ballet classes so that I could show them all what I could be. It was therefore pure luck that I fell into a job that would have given me greater perspective, had I been open enough to realize it. I was hired as a teacher’s assistant for the school at Ballet Tech in New York City. I assisted the primary teacher, offering additional corrections and doing lap after lap around the studio correcting posture. At age 20, I found it tremendously tedious and boring. I could only see this position as a way to make money, nothing more. But I wish I could have realized the value of what I was doing at the time. I was part of an organization that was helping lay the foundation for these young people’s lives. We were bringing them out of their neighborhoods, giving them the tools to make a living in a world that hadn’t necessarily given them much to begin with. In many cases, we were fulfilling their dreams. But I just wanted to dance and fulfill my own, so all of that felt like treading water in a pool ever rising. It took me a year and a half after graduation to get into a company. When I was invited to join Hubbard Street 2, I felt I was once again on the right track. I had miraculously attained a job in a respected company, and enjoyed the opportunity to perform all over the country, and even a bit abroad. I still held very strict notions of what I considered respectable dance, but I managed to do well. I worked hard and embodied the role of reliability, but when it came to creation, I was boring. I couldn’t come up with anything on my own. I got by, even though I felt I was somehow cheating the system. A major component of Hubbard Street 2 was educational outreach. We often woke up quite early to perform at schools, community centers, and hospitals, avoiding ketchup as much as possible as we struggled through choreography on a hard tile floor. We were tired, and our muscles were screaming, but looking back now, those early morning shows were some of the most profound performance experiences in my life. Those students were the most enthusiastic and generous audiences I ever encountered. They did not need to suspend disbelief; they simply believed. Simultaneously, they were our harshest critics because they could see our truths. They could see straight to the heart of what we were doing, and we could hide nothing. If we didn’t believe what we were doing, they didn’t, and they usually told us. While once performing in the library of a boarding house for teenagers with mental illness, I was given the most incredible gift. During the question and answer session following our show, a shy young woman in the back meekly raised her hand, and when called upon, looked me straight in the eye and simply said, “I know how you feel.” That struck me at the very core of my being. She had seen me, in all my rawness and vulnerability, and it broke my heart. But it taught me something. In that one moment, I realized everything I needed to know about why I dance, and it had nothing to do with technique, or success, or accolades. Connection, collective, and community. It was about giving voice to what cannot be said, that intrinsic sense of belonging to a human collective, sharing, communing, and nurturing. According to her caregivers, this young woman rarely talked to anyone, and they were blown away by her admission. She had finally found someone she believed understood, and I was able to give her that through laying my soul bare for her to see. In return, she showed me what I had not realized all along, that I did this because I wanted to connect with something bigger than myself, I wanted to belong; because we don’t do this to perform to a packed opera house; we do this to connect to those around us, to extend to others a lifeline, or as in my case, sometimes to discover our own. I was truly humbled when invited to join the main company at Hubbard Street Dance Chicago since it fit into “the Plan.” I danced with the main company for about 5 years but most of the time, I felt empty. I thought it was because I was tired of rehearsing and rehearsing, injuring myself time and time again, desperately wanting to be onstage, but never being the first cast, and sometimes, not even the second. I just couldn’t remember why I was bothering to do any of it. I thought it was because I wanted to be in the spotlight, but really, it was simply never getting to connect that left me feeling unworthy. I completely forgot why I loved to dance and eventually figured I didn’t even deserve my job. So I left, and of all the things I could have done, decided to go to law school. I had grand hopes of becoming an environmental defense lawyer, arguing class action suits against big corporate America, but that didn’t really stick either. I left 2 days into my second semester, never to look back. Feeling pathetic and defeated, I missed dance and I desperately needed a job. Norma Pera generously allowed me to come and take classes at Baltimore School for the Arts in an effort to get back into shape. I thought I would get a job teaching, but when I met up with Sharon Eyal, an Israeli choreographer with whom I had worked at Hubbard, I knew it was now or never. At age 31, I started auditioning for companies once again. With my resumé, it was easy to get auditions, but not necessarily to get a job. Nevertheless, I was invited to join the Ballett des Saarländischen Staatstheaters in Saarbrücken, Germany. Dancing in a smaller company at a B-level state theater, I was trusted with lead roles, finally becoming the “star” I had always wanted to be. People recognized me in the street and my picture was up on billboards around the city. I performed great roles in contemporary masterpieces, but still, I felt empty. Then, I was chosen to perform the title role in Sir Kenneth MacMillan’s “Anastasia.” Originally created for Lynn Seymour, the character claims she is the daughter of Tsar Nicholas II, jumping back and forth between past and present, reality and delusion, experiencing emotional and physical abuse as she fights against her own psychological issues. I performed that role as if my life depended on it, knowing that I didn’t have the technical prowess of the women usually cast to perform it, instead focusing on giving power to that character. I laid everything I had out there on the stage, all of my loneliness and heartache, crying hysterically as part of the character, but using the opportunity for my own cathartic artistic purge. And the audience could sense it; they cried with me, and for those performances, I finally felt connected to others again. I felt as if what I did onstage somehow mattered, because other people could feel the way that I did. A few years later, I became the choreography assistant and rehearsal director for Nanine Linning Dance Company at Theater Heidelberg. I had never worked so hard in my life, teaching daily training, running rehearsals, but perhaps most important and time-consuming, acting as the mediator between the dancers and the artistic administration. I used every ounce of Psych 101 I could remember to weather the push and pull of theater politics, maneuvering the delicate balance of meeting everyone’s needs. But what I found the most fulfilling was helping these young dancers discover their own voices. I was connecting with them, mentoring, developing deep friendships, and establishing trust in ways I had never before encountered. In the director’s absence, I lead that company almost completely on my own, coming to realize that I am a much stronger person than I ever gave myself credit for. I took back the responsibility to define who I am, and how I define success, but it was definitely a forced evolution. What struck me was how ill-prepared I was for it. Prior to that experience, I was still so set in my ways that I could not see beyond one definition of success, nor of happiness. And yet there I was, drawing upon diverse skill sets to stay afloat in a complicated artistic and political environment, in another language. During that time, I realized that was what I had been searching for all along, a position that would challenge me at every single level. If only I had been open enough to realize this earlier in my career. I callously once said that the only job I would come back to Baltimore for would be to take over the Dance Department at School for the Arts. At the time, I didn’t really know what that meant. But being here now, and facing the beautiful onslaught of a public performing arts high school environment, I do. I am here to help young people discover who they are, help lay foundations for careers in any field, and cultivate pathways to new definitions of success, so that these students may find their own version of what it is that fulfills them as artists, but most importantly, as human beings. I adamantly believe that relevant dance education is an amalgamation of all techniques. The professional dance world is no longer interested in dancers who are only able to specialize in one thing; a viable, useful dance artist is intrinsically adaptable, someone who is able to draw upon a vastly diverse set of skills to achieve the desired outcome, all honed and crafted with curiosity, focus, and specificity. Moreover, each young dancer is an individual, and should be treated as such. Despite the necessity of constructed curriculum, a dance education must meet the needs of budding student artists, recognizing and encouraging unique talents while simultaneously expanding his or her boundaries of understanding, rather than forcing him or her into a pre-determined mold. The essence of cultivating honest, high caliber artistry is the consistency with which it is practiced and the quality with which it is mentored. In order for this to happen, we need to consider two major changes. First, we must actively develop multifaceted curriculums to more aptly prepare our students for a fuller range of professional opportunities, and secondly, make efforts to instill a new equitable power dynamic built upon mutual respect, both amongst students, as well as between students and teachers. In terms of developing curriculums, we must open our pathways of inquiry, embracing both traditional and non-traditional, Western and non-Western, concert and commercial. We must step back even farther from our traditional studio power structures which rely upon subjugating the masses, and cultivate an environment that inspires dialogue. This does require a sea change wherein those in charge exchange control for communal discourse, allowing for each individual to be heard, and demonstrating the respect we wish to receive in return. I think it foolish to consider dance education without considering the purpose of education in general. Isn’t ultimately what we value in a dancer, the same thing we value in a citizen? 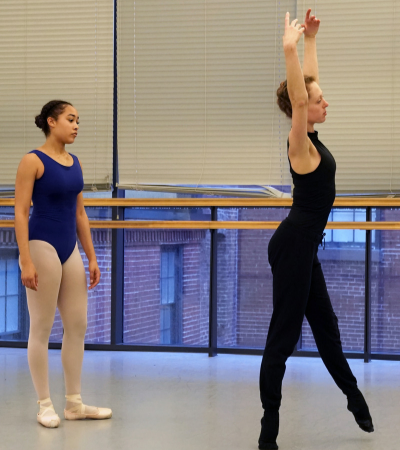 In the studio, we want our students to be versatile, analytical, generous, conscientious,and diligent. We want them to respectfully question the established paradigm and creatively find solutions that push the art form moving forward. Enlargening that scope isn’t all that much of a stretch. What prevents us from utilizing the studio as platform and catalyst in the cultivation of well-rounded global citizens? I imagine it’s the fear of losing power, but that is selfish, and as educators, that violates the cardinal rule of our charge. We must envision the studio as a safe haven, wherein we embrace the role of social worker to ensure that our students always have a place where they are valued, empowered, and prepared to succeed in an ever increasingly frenzied world. We are bound to ever give of ourselves, and what a blessed position that is. So yes, 1998 Laura could have never anticipated that she would actually want to be back in high school. But 2019 Laura feels as if it is the culmination of everything she has worked for her entire life. And now, it’s time to give the next generation the fruits of my labor, so that THEY can become greater than I could ever be. A Baltimore School for the Arts alum, Laura Halm received her B.F.A. in Dance from the Juilliard School in 2002. She has had the pleasure of performing with Hubbard Street Dance Chicago and as a soloist with the Ballett des Saarländischen Staatstheater in Saarbrücken, Germany. Over the course of her performance career, she has danced masterworks by contemporary choreographers Jiří Kylián, Ohad Naharin, Nacho Duato, and Johan Inger, among many others. Highlights of her career include performing the title role of “Anastasia” in Sir Kenneth MacMillan’s Anastasia, the “Black Swan” in Marguerite Donlon’s Schwannensee-aufgetaucht, and the “Red Woman” in Inger’s Walking Mad. In 2014, Stijn Celis created the role of “Solveig” for Halm in his interpretation of Peer Gynt. 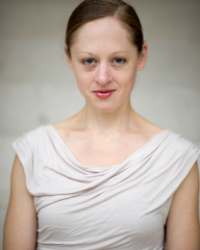 As a member of the University of Washington’s Chamber Dance Company in 2016, she performed Lucinda Childs’ groundbreaking post-modern solo Carnation. For the 2017-18 season, Halm was the Choreography Assistant and Rehearsal Director for Dance Company Nanine Linning in Heidelberg, Germany. In August 2018, she was appointed as the new Dance Department Head at Baltimore School for the Arts.